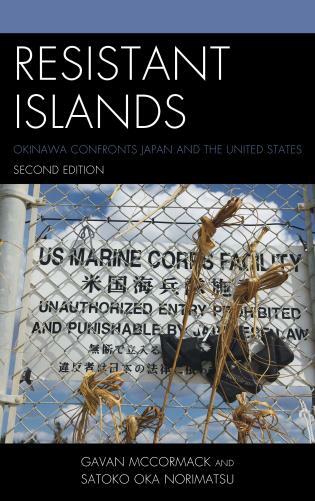 From Asia-Pacific Journal: Japan Focus. See below for English text. The May/June edition of Australian magazine Physician Life features a lengthy report on the Fukushima crisis by Melbourne-based nuclear radiologist Dr. Peter Karamoskos. 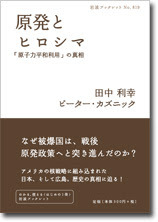 A Japanese translation is available here. The issue is available in full online. In the piece, Karamoskos poses and answers key questions for understanding what has taken place at Fukushima and what the likely public health effects will be. What happens when a nuclear reactor overheats? When nuclear cores overheat due to a lack of water coolant, they ultimately melt. Remaining water quickly turns to steam preventing replenishment of the water and endangering the integrity of the pressure vessel. Furthermore, the reactor pressure vessel may also melt leaking the melted fuel which may escape into the environment if the primary and secondary containment structures (concrete) have been damaged. Spent fuel is kept at around 25 degrees in cooling ponds for a few decades. The water must be continually replenished to maintain this temperature. If there is a loss of water or a failure of replenishment, the spent fuel will overheat and catch fire, releasing its radiotoxic contents. Note that the longer fuel is irradiated in the reactor core, the more radioactive it becomes due to the build-up of fission by-products which also contaminate the fuel limiting its usable life. Only about 1-2% of the uranium in fuel rods is actually used up in a reactor. It is these fission by-products that pose the greatest immediate danger if released into the environment. Radioactive fallout from a nuclear reactor can be considered in two groups: isotopes of the noble gases (xenon, krypton-133) are radioactive elements with a very low chemical reactivity, relatively short half-lives, are not retained by the body and they remain and become dispersed in the air without ground deposition. Hence they have limited adverse health potential. The second and more dangerous radioactive fallout group is represented by mainly the radioactive isotopes of iodine, cesium, and tellurium. These elements form fine suspended particles in the air (aerosols), which due to their weight will gradually end up falling on the ground when released into the air, contaminating all vegetation, clothing and any other surfaces including water sources. Those that pose the greatest health threat are Cesium-137 (half-life 30 years) and Iodine-131 (half- life 8 days). Iodine-131 is a beta emitter and is absorbed into the blood stream through inhalation and ingestion and concentrated by the thyroid gland where it is highly carcinogenic, predominantly in young people under 18 years of age. Cesium is a gamma and beta emitter. It is also absorbed by the body through the respiratory and gastrointestinal tracts and subsequently into the bloodstream and deposited throughout the body. Cesium takes between 10 days and 100 days for half of it to be excreted from the body so there is significant hazard once it is absorbed. Unlike I-131 therefore which loses most of its potential for harm in a few months, cesium remains hazardous in the environment for several hundred years. So how much radioactivity was emitted and how does it compare to Chernobyl? The spread of airborne contamination is unlikely to be evenly distributed due to many variables including the prevailing winds, the altitude the contamination reaches before dispersion and the time period of release. Thus, although we speak of radial zones from the plant, the shape of the fallout most likely will represent a plume rather than a concentric disc. Furthermore, the prevailing jet stream is towards the United States west coast which is likely to have higher levels of contamination (but still very minimal at that distance) than, say, northern Canada which is closer to Japan. Contamination is likely to spread throughout the northern hemisphere and indeed trace amounts have already been detected from nearly all monitoring sites in that hemisphere. There is effectively an ‘air curtain’ at the Equator that prevents contamination from reaching the southern hemisphere. 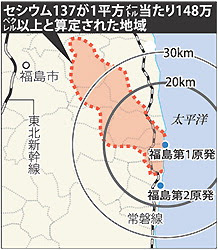 Shortly after the nuclear plant explosions, a 20km exclusion zone was established and residents between 20 and 30km were advised to remain indoors. The IAEA and US NRC suggested this was inadequate and advised an 80km exclusion zone. Utilizing CTBT monitoring data, the Austrian Central Institute for Meteorology and Geodynamics calculated that in the first three days, the activity of I-131 emitted was 30% and Cesium-137 20-60% of the entire Chernobyl emissions of these isotopes. Although Chernobyl emitted vastly more fallout than Fukushima has to date, it was the I-131 and Ce-137 that accounted for most of the terrestrial human and environmental hazard, and these are the main Fukushima fallout components. Also, the Fukushima plant has around 1700 tonnes of fresh and used nuclear fuel on site with an unknown amount having been damaged, whereas the Chernobyl reactor had only 180 tonnes. 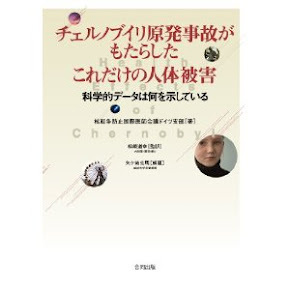 As far as human health is concerned comparisons therefore between Chernobyl and Fukushima disasters are valid. Emissions have continued since then, albeit at a lesser rate than initially was the case. Note, however, that there has also been extensive contamination of the sea off the coast of Fukushima as contaminated seawater runoff from the plant used to cool it continues unabated at a rate of 7,000 tonnes per day. Concentrations of radioactive iodine were measured at over 4,300 times the legal limit. Measures to intentionally dump the contaminated seawater build-up into the sea are being considered. Contamination of the seawater will compromise the fish stocks along the local coast for some time and has destroyed any remnants of the fishing industry that were not wiped out by the tsunami. France’s Institute for Radiological Protection and Nuclear Safety (IRSN) has estimated that within 20km of the plant the levels of contamination will exceed that of Chernobyl, and there will be “a strongly contaminated zone, extending to 60km around Fukushima in which there will be “measurable impacts but not dramatic impacts” although the contamination will be less than the comparable area around Chernobyl. Beyond this zone contamination will be measurable as far as 250km but with health impacts not able to be measured. The more extensive evacuation zone advised by the IAEA (but ignored by the Japanese authorities) was vindicated, as later monitoring showed hot spots of contamination as far as 43km from the plant with levels of activity comparable to those areas which were mandatory evacuation zones at Chernobyl. lonising radiation (IR) imparts its deleterious health effects through two mechanisms: transference of its energy to atoms in biological tissue which then becomes electrically charged leading to the formation of free radicals which then damage the cell’s genetic blueprint (DNA) leading to genetic mutations; and direct DNA disruption along the track as ionising radiation traverses through the cell’s nucleus. This then predisposes to the initiation of cancer when the regulatory mechanisms of the cell fail. Cancer may not appear for 10- 50 (or more) years (latency), although can be as short as 5 years for leukemia. lonising radiation is classified as a Class 1 carcinogen by the International Agency for Research in Cancer of the World Health Organisation, the highest classification consistent with certainty of its carcinogenicity. Two types of IR health effects are recognized. The severity of deterministic effects is directly proportional to the absorbed radiation dose. These include skin damage and blood disorders due to bone marrow effects. The higher the dose, the worse, for example is the skin radiation burn. These have a threshold below which they do not occur, although this may vary between individuals. This threshold is around 100) millisieverts (mSv) at which point blood production begins to be impaired. Deterministic effects which exceed around 1000mSv induce acute radiation sickness with vomiting, diarrhea, and shedding of mucosal linings of the gastrointestinal and respiratory tracts, bone marrow suppression and sterility. Once the dose exceeds more than 3000-5000 mSv, death is likely in a matter of days to weeks. Stochastic effects are ‘probabilistic’ in nature. In other words, the higher the dose the greater the chance of them occurring, however, once they occur their severity is the same irrespective of the original dose. The main stochastic effect is cancer. The lower the dose of IR, the lower the chance of contracting cancer, however the type and eventual outcome of the cancer is independent of current risk coefficients for the development of cancer are approximately 8% per 1000 mSv (ie. 1 in 12 chance) and 5% for cancer fatality (1:20). The US National Academy of Sciences reviewed the effects of low level ionising radiation (defined as less than 100 mSv) in their seminal report and concluded that: “… there is a linear dose-response relationship between exposure to ionizing radiation and the development of solid cancers in humans. It is unlikely that there is a threshold below which cancers are not induced.” Emergency workers at the plant are likely to developed deterministic effects as their upper allowable occupational doses have been increased to 250 mSv (from the 100mSv total dose over five years allowable. and the lmSv per annum allowable dose to the public). One incident induced radiation burns to two emergency workers’ legs from stepping in highly radioactive water in reactor 2, with a calculated total dose of 180 mSv from this one incident. In order to limit occupational doses workers have been recruited from a 600 person pool of workers on a rotating basis, and recruitment from overseas has now become necessary to avoid exceeding the revised occupational dose limits. It is highly likely that some of these workers will die of their exposures from the induction of cancer. No cases of acute radiation sickness have been reported to date. The longer term stochastic effects will be much harder to define given the relatively high background incidence of cancer and the long latency period for its appearance. The prompt evacuation of people from the immediate surrounding environment, notwithstanding the insufficient exclusion zone, and offshore wind on the days of maximum fallout, will have minimized these effects. Furthermore, the administration of stable iodine to block thyroid uptake of I-131 in sufficiently exposed young people will also have significantly decreased the development of thyroid cancer. Even though risk models of cancer induction can be used to predict the likely cancers over the next six decades, it is possible that we will never know the true number of actual excess cancers in the general population due to inherent statistical limitations and large uncertainties, even several decades after the event. This is particularly so at very low doses. The only exception to this will be excess thyroid cancers as this is a rare malignancy and hence is easily statistically detected. How long will it take to resolve the crisis? It all depends on what we mean by “resolve the crisis.” The Japanese government has set a target of “several months” to stop the continuing atmospheric, sea and ground emissions from the plant. Note that this is a desired outcome, not necessarily the likely outcome. It is conceivable that more drastic measures need to be adopted including burying the entire plant under a concrete sarcophagus which alone is estimated will cost upwards of $12bn. Of course, the entire plant will need to be written off as even reactors 5 & 6 which were not damaged are too heavily contaminated. Cleaning up radioactive sites is massively costly, time consuming and dangerous. If the plant is able to be brought under control, it will take more than 30 years to decommission the reactors and decontaminate the site and will cost “more than 12 billion dollars.” Of course, that is not the upper limit of liability for the beleaguered Japanese taxpayer Bank of America-Merrill Lynch has estimated an upper bound of $130bn for the Fukushima disaster alone in liabilities and economic losses. The decommissioning effort alone will likely bankrupt the operator TEPCO resulting in a knock-on massive liability for Japanese taxpayers. Unlike the case with all nuclear power generated around the world, where operators refuse to generate electricity unless most of their liabilities are capped in the event of a major accident, the 1961 Act on Compensation for Nuclear Damage places no cap on damages. However, if the company is bankrupted, this liability transfers to the taxpayers. After this disaster, the Japanese tax-payers will realise that it is they, not the nuclear power companies, who need protection. 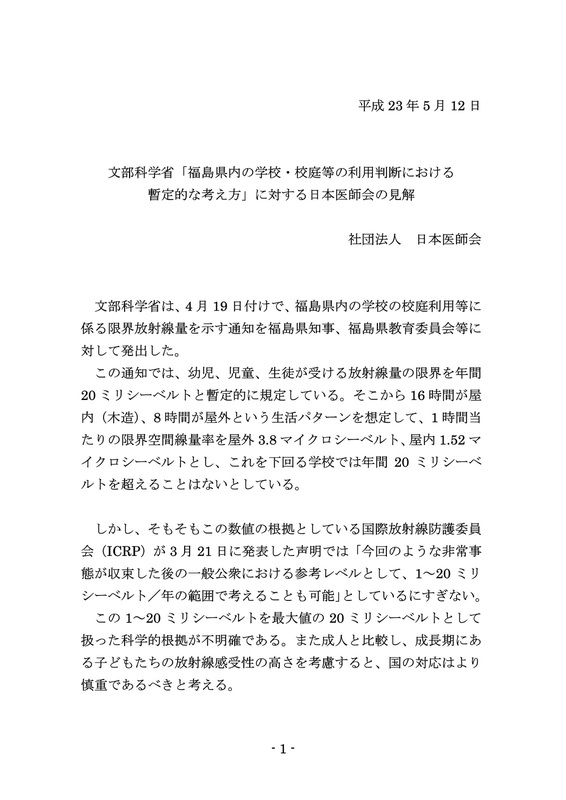 The Japan Medical Association's statement, issued on May 12, was a significant addition to the mounting criticism against the Japanese government's April 19 decision to raise the annual radiation dose limit from 1 mSV (millisievert) to 20 mSV. 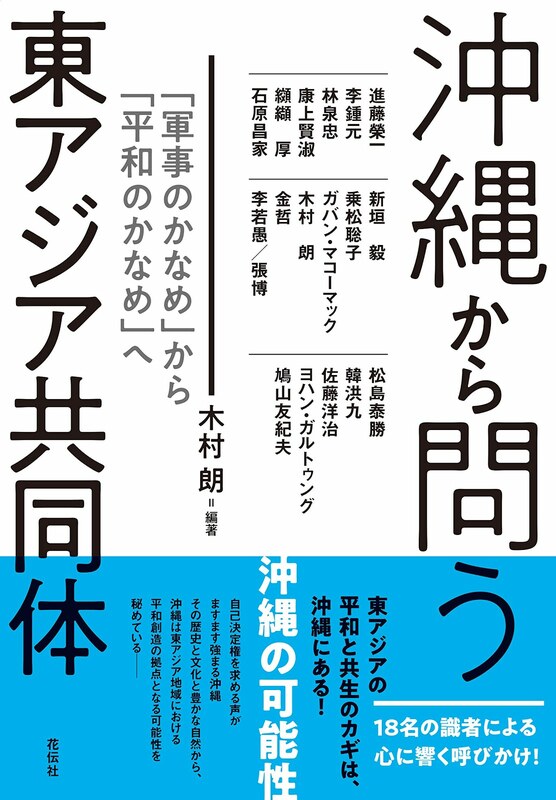 An English version is available now, thanks to Hideko Wada, one of the leaders of MSCR, Moms to Save Children from Radiation. Some criticized that this statement from the Japanese doctors' association came too late, but many thought better late than never. The statement does not specifically ask the government to rescind their new limit, but it clearly expresses its concern for children's susceptibility to radiation, and the lack of scientific ground on the 20 mSV decision. 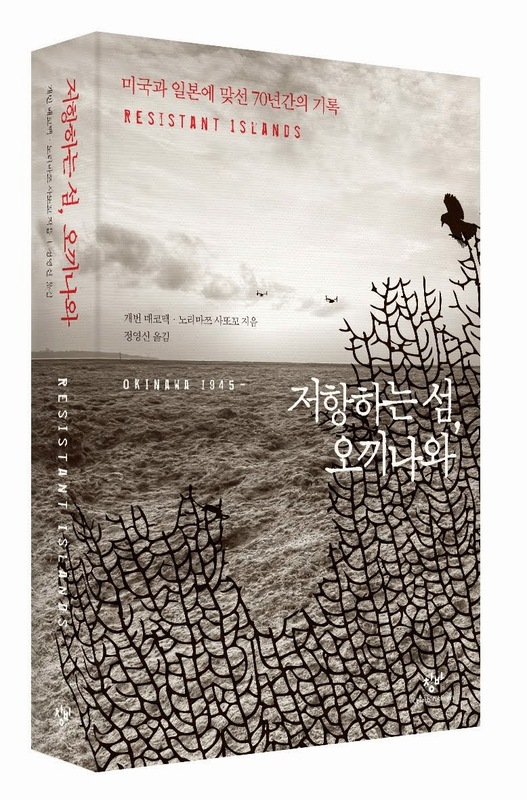 Please also see the list of related articles available in English and other langugages on this issue. On April 19, the National Ministry of Education, Culture, Sports, Science and Technology (MEXT) issued a notification concerning radioactive exposure limits for children using school grounds to the governor of Fukushima and the Fukushima Prefectural Board of Education. This notification set the children’s interim radiation exposure limit to 20 mSv per year. Thus assuming a life pattern of 16 hours inside the (wooden) building and 8 hours in the yard, they calculate that the outdoor and indoor radiation dose rate at 3.8 μSv/h and 1.52 μSv/h respectively. They conclude that schools below this level will not exceed 20 mSv per year. The scientific basis for choosing the maximum amount of 20 mSv in the band of 1 to 20 mSv is not clear. The government’s action should be more carefully deliberated considering the fact that growing children are more sensitive to radiation exposure compared to adults. We as a nation should make the utmost effort to reduce the exposure to radiation of children, as well as adults. We are responsible for the children’s health and life. Although the government has released a notification to the schools and related facilities requesting that they should start examining measures for environmental amelioration, such as removing the surface soil of the grounds of kindergartens, nursery schools, schools and parks, they should take more active responsibility for the initiative. 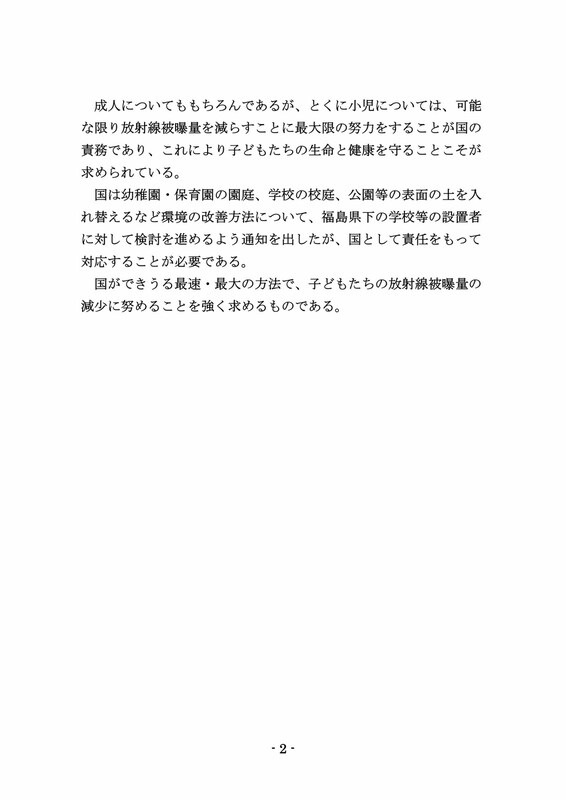 We urgently request that the Japanese National government strive to reduce children’s radiation exposure in the fastest and most effective way possible. 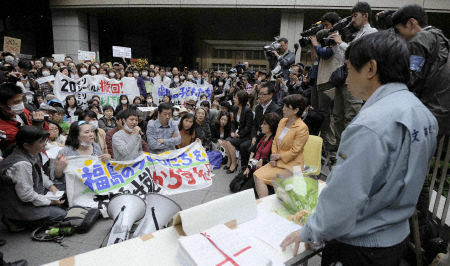 From Kyodo News - "Parents from Fukushima Prefecture protest the Japanese government's safety standards on radiation levels at elementary and middle schools in the nuclear disaster-stricken prefecture as they visited the education ministry in Tokyo on May 23, 2011. On the right is an official of the ministry. The parents demanded the government retract its stance that it is safe for schoolchildren to use school playgrounds as long as the dose they are exposed to does not exceed 20 millisieverts over a year following the nuclear crisis at the Fukushima Daiichi nuclear power station. (Kyodo)"
On April 19, the Japanese government raised the allowable annual radiation exposure limit from 1 mSV (millisievert) to 20 mSV. The decision has been heavily criticized by experts inside and outside Japan, as it is applied to children who are more susceptible to radiation, and this limit does not take internal radiation dosage into consideration. 20 mSV is the yearly average of what is allowed for Japanese nuclear plant workers under normal circumstances. 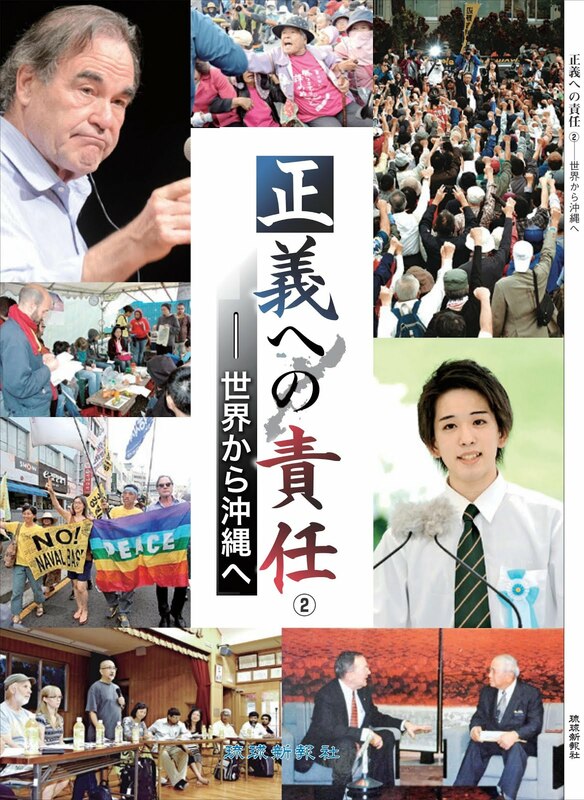 On this website, we have so far primarily written and provided information in English on this "20 mSV" issue and on the Fukushima nuclear crisis in general. In this post we attempt to compile a list of articles, video news, press releases available in English and other languages. 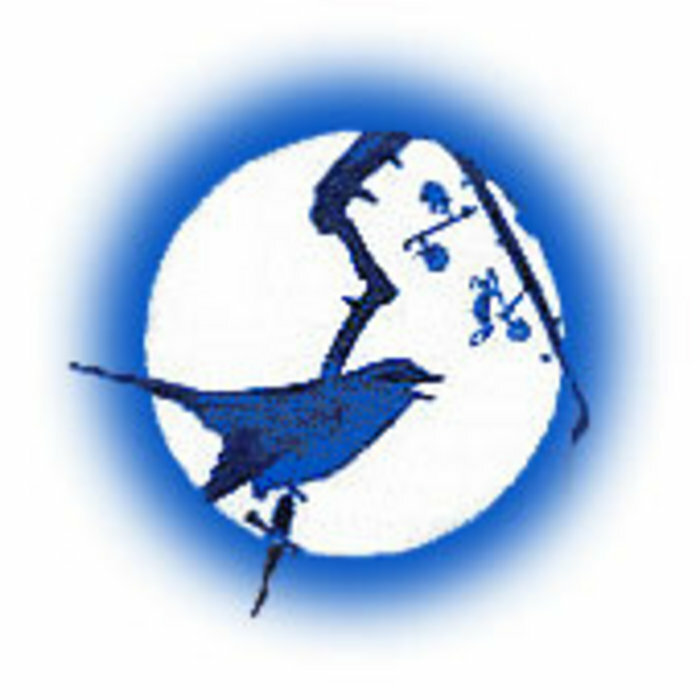 Please inform info@peacephilosophy.com, or Twitter @PeacePhilosohpy if you know of other good sources. IPPNW to Japanese Government: Raising Allowable Radiation Dose for Fukushima Children "Unacceptable." Physicians for Social Responsibility Calls 20 mSV for Children "Unconscionable." Un blog du Réseau "Sortir du nucléaire"
En France comme en Allemagne, 20 mSv/an est le seuil maximal d'irradiation recommandé pour "les personnes affectées à des travaux sous rayonnements ionisants", c'est-à-dire pour les travailleurs du nucléaire. Au Japon, la loi sur les normes du travail interdit aux personnes de moins de 18 ans de travailler dans ces conditions. De plus, les nourrissons et les enfants sont plus vulnérables que les adultes aux effets sanitaires néfastes de la radioactivité. 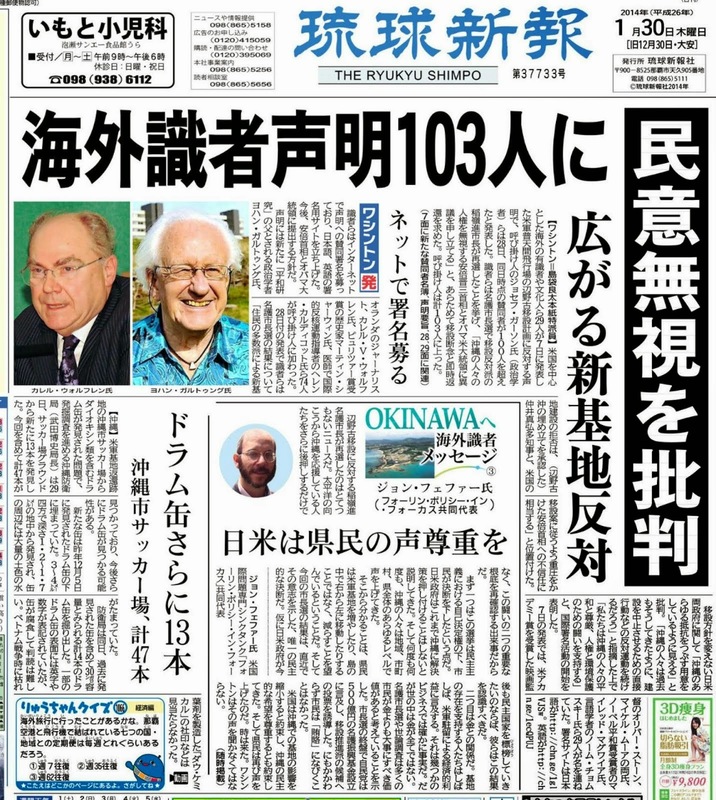 Or, le 19 avril 2011, le gouvernement japonais a décidé de relever de 1 mSv/an à 20 mSv/an la norme de radioprotection pour les écoles de la préfecture de Fukushima. Permettre que des enfants soient exposés à de telles doses de rayonnements est révoltant et inhumain. Nous condamnons fermement cette décision intolérable. C’est pourquoi, M. Saito, nous demandons instamment l'annulation immédiate de cette décision du gouvernement nippon autorisant l’exposition des enfants japonais à des doses de radioactivité pouvant atteindre 20 mSv/an. 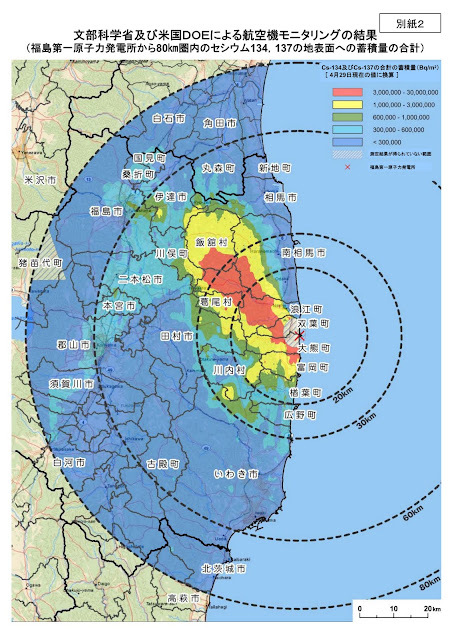 Actuellement, 75 % des écoles élémentaires et intermédiaires de la préfecture de Fukushima présentent des niveaux de contamination tels qu'elles relèvent de « zones de contrôle des rayonnements » (0,6 microSv/h ou plus). Pire encore, 20 % des écoles relèvent de « zones individuelles contrôlées sur l'exposition » (2,3 microSv/h ou plus) et présentent une situation radiologique extrêmement dangereuse. Aucune dose de radioactivité n'est inoffensive. La très officielle Commission Internationale de Protection Radiologique (CIPR) admet elle-même que « toute dose de rayonnement comporte un risque cancérigène et génétique ». Les normes d'exposition ne correspondent en aucun cas à des seuils d'innocuité scientifiquement fondés ; elles définissent seulement des niveaux de « risque admissible ». Admissible par qui ? Par ceux qui décrètent les normes, ou par ceux qui les subissent en pratique? M. Saito, à ce jour, les nombreuses associations japonaises * qui se sont élevées contre cette décision n'ont eu aucune réponse tangible à leurs questions : pourquoi, comment et par qui cette décision a-t-elle été prise? Ces questions sont aussi posées par M. Toshisô Kosako, qui a démissionné le 29 avril de son poste de conseiller spécial du Premier Ministre japonais en matière de protection contre la radioactivité. Lors d'une conférence de presse, le professeur Kosako, en larmes, a déclaré qu' "il est tout à fait inacceptable d'appliquer une telle limite de dose à des enfants en bas âge, et à des élèves de classe primaires, et il est urgent de revenir sur cette décision". Votre Excellence, nous demandons instamment que le gouvernement japonais annule immédiatement la décision autorisant l'exposition des enfants à des doses d'irradiation pouvant atteindre 20 mSv/an, et prenne au contraire toutes les dispositions nécessaires pour les préserver de l'exposition à la radioactivité. Nous demandons également que le gouvernement japonais rende public sans délai le nom des experts qui ont avalisé cette décision inhumaine. Votre Excellence, nous espérons que vous mettrez tout en œuvre pour que votre gouvernement fasse droit aux demandes légitimes des associations japonaises * - des demandes qui sont aussi les nôtres. Nous vous prions de croire, M. Saito, à notre haute considération, ainsi qu'à notre vigilance quant aux mesures prises par le gouvernement japonais pour protéger ses citoyens. Nous adressons nos pensées solidaires et notre soutien au peuple japonais dans les terribles épreuves qu’il affronte aujourd’hui. * Pétition lancée par les associations Green Action, Greenpeace Japan, Citizens' Nuclear Information Center, Citizens Against Fukushima Aging Nuclear Power Plants (Fukuro-no-Kai), Osaka Citizens Against the Mihama, Oi, and Takahama Nuclear Power Plants (Mihama-no-Kai), Friends of the Earth Japan. 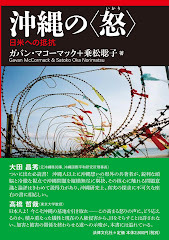 Voir : http://fukushima.greenaction-japan.com/ et http://blog.canpan.info/foejapan/daily/201104/24. Voir aussi l'appel au secours lancé par le collectif japonais des Mères réunies pour Sauver les Enfants des Radiations : http://mscr2011.jugem.jp/?eid=4. In France, as in Germany, 20mSv/year is the maximum radiation dose recommended for “persons affected by ionizing rays in the workplace” - i.e. for nuclear workers. In Japan, labor law prohibits people under the age of 18 from working under these conditions. Additionally, infants and children are more vulnerable than adults to the adverse effects of radioactivity. 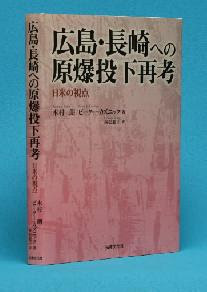 However, on April 19, 2011, the Japanese government decided to raise the norm for radioactive exposure from 1mSv/year to 20mSv/year for the schools in Fukushima prefecture. Allowing children to be exposed to such high doses of radioactivity is revolting and inhuman. We strongly condemn this intolerable decision. This is why, Mr. Saito, we demand an immediate reversal of the Japanese government's decision to authorize exposing Japan's children to doses as high as 20mSv/year. 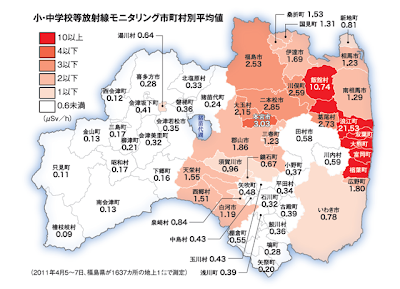 At the moment, 75% of elementary and middle schools in Fukushima prefecture have been contaminated to a degree that they are "radioactive monitoring zones" (0.6 μSv/h or more). Still worse, 20% of the schools are "individual radiation exposure zones" (2.3 μSv/h or more) and are thus in a dangerously radioactive state. There is no such thing as a safe dose of radioactivity. The official International Commission on Radiation Protection itself admits that "any dose of radioactivity carries a carcinogenic and genetic risk". "Safe exposure" norms never correspond to maximum levels based on scientifically-proven safe levels; they simply define levels that are within “acceptable risk.” Acceptable to whom? To those who decide the norms, or to those whose health is subjected to them? 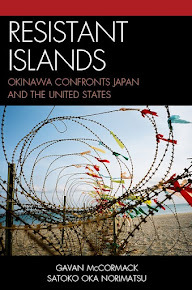 Mr. Saito, today the many Japanese organizations * that are rising up against this decision have received no tangible response to their questions: why, how, and by whom was this decision made? 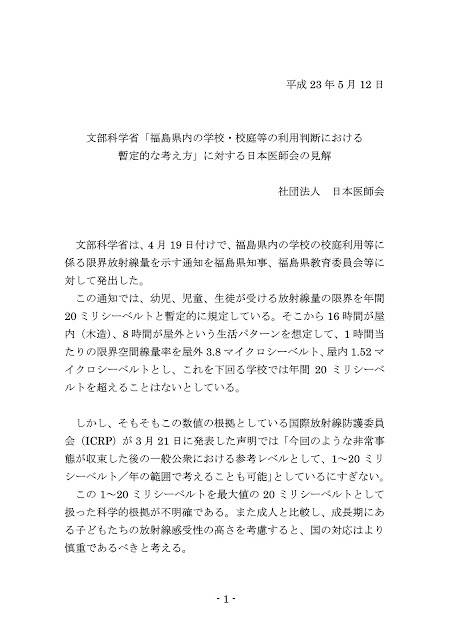 These questions are also being asked by Mr. Toshiso Kosako, who on April 29th resigned his position as special counselor to Japan's Prime Minister over the matter of protecting the public against radiation. At a press conference, Professor Kosako, in tears, declared that "it is completely unacceptable to apply such a limit to young children, and to elementary school students - it is urgent that we reverse this decision." Your Excellency, we insist that the Japanese government immediately reverse its decision to authorize exposing children to doses of radioactivity as high as 20mSv/year, and instead take every measure to ensure the children are protected from radioactive exposure. We also ask the Japanese government to immediately make public the names of the experts who supported this inhuman decision. Your Excellency, we hope that you will do all in your power to ensure that your government complies with the Japanese organizations'* - and our - legitimate requests. We make this request, Mr. Saito, with great respect, and with continued vigilance over measures taken by the Japanese government to protect its citizens. We stand together with the people of Japan, and offer them our continued support during these terrible times. 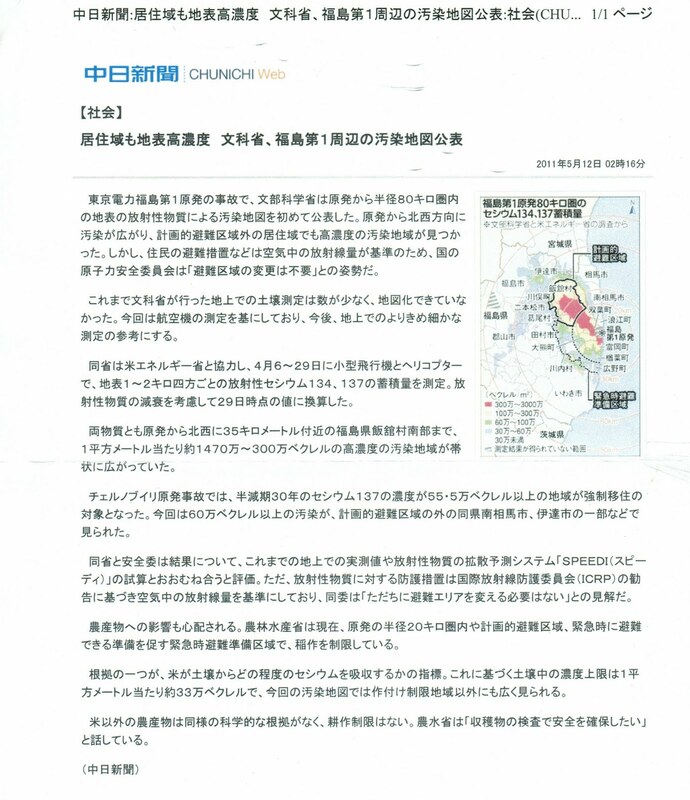 * Petition initiated by Green Action, Greenpeace Japan, Citizens' Nuclear Information Center, Citizens Against Fukushima Aging Nuclear Power Plants (Fukuro-no-Kai), Osaka Citizens Against the Mihama, Oi, and Takahama Nuclear Power Plants (Mihama-no-Kai), Friends of the Earth Japan. 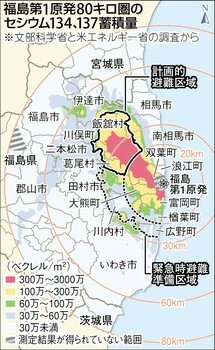 See: : http://fukushima.greenaction-japan.com/ and http://blog.canpan.info/foejapan/daily/201104/24. 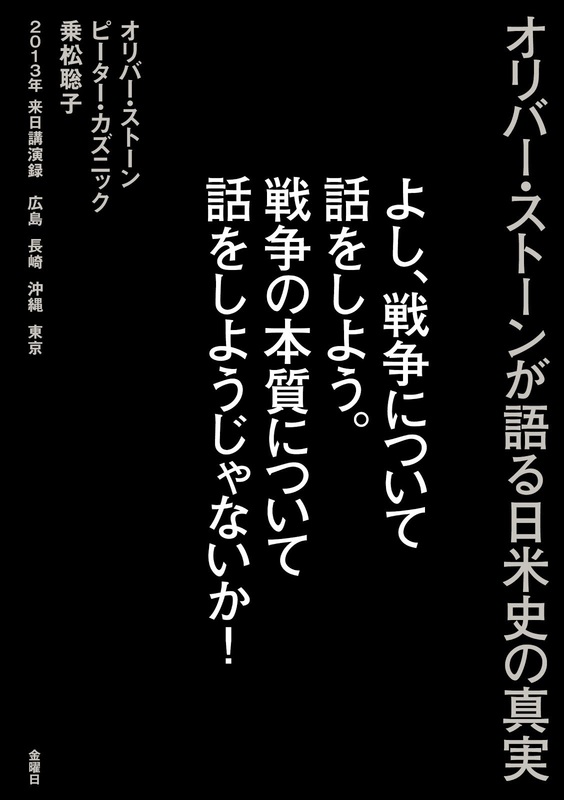 See also the call for help issued by the Japanese collective Mothers United for Saving Children from Radiation: http://mscr2011.jugem.jp/?eid=4. 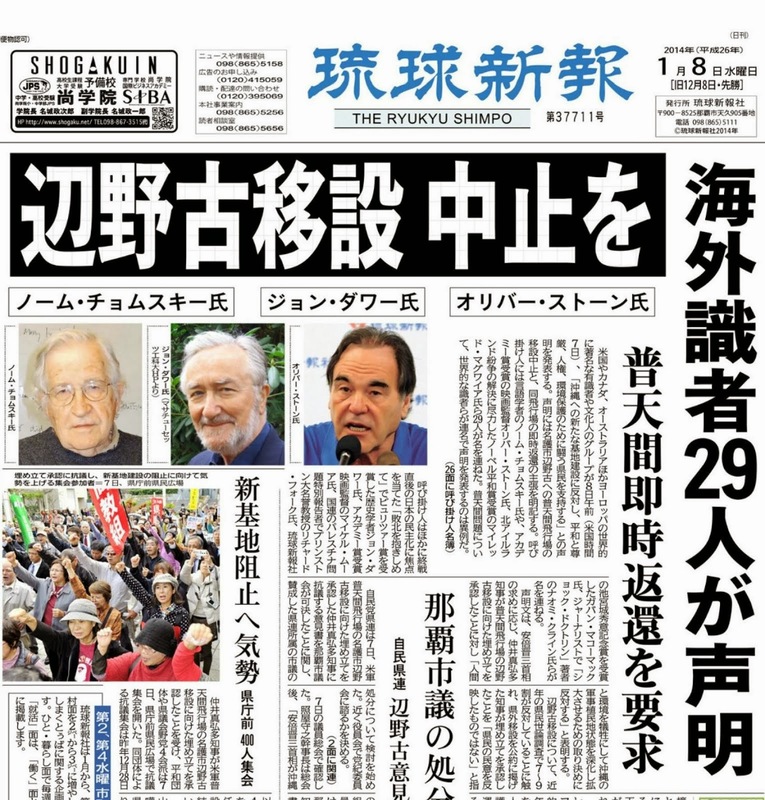 International media attention is rising over the contentious issue that the Japanese government has increased the allowable radiation dosage by twenty times, from one millisievert per year to twenty, including children. On May 23, seventy parents and children from Fukushima and hundreds of supporters gathered in front of the Ministry of Education in Tokyo. Please see below for the list of English-language reports, including one by New York Times, and the video report by Press TV, and one by the Spanish national broadcaster. But the subsequent March 1954 Bravo test almost derailed those plans. 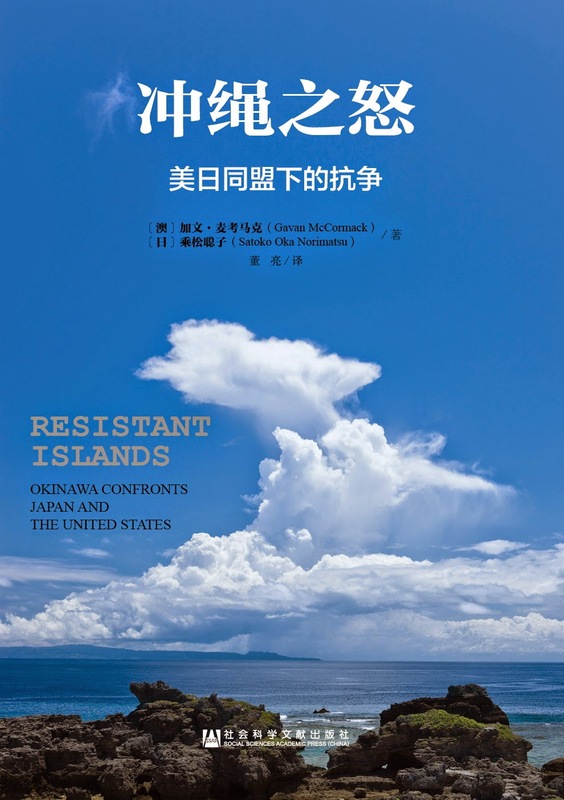 Fallout from the US hydrogen-bomb test contaminated 236 Marshall Islanders and 23 Japanese fisherman aboard the Daigo Fukuryu Maru ("Lucky Dragon no. 5"), which was 85 miles away from the detonation and outside the designated danger zone. A panic ensued when irradiated tuna was sold in Japanese cities and eaten by scores of people. But selling this idea to the Japanese people would not be so easy. 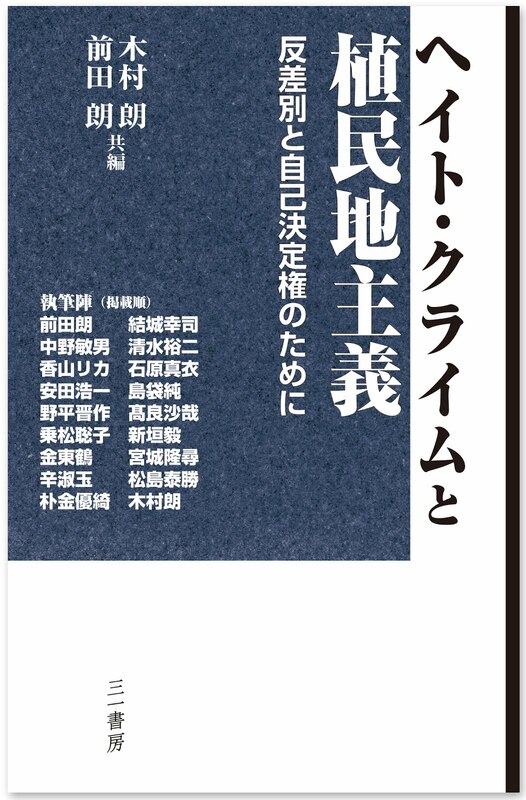 When the US Embassy, US Information Service (USIS), and CIA launched their vigorous campaign to promote nuclear energy in Japan, they turned to Matsutaro Shoriki, the father of Japanese baseball, who ran the Yomiuri Shimbun newspaper and the Nippon Television Network. 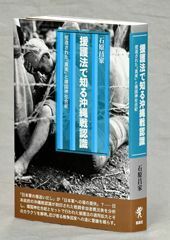 After two years' imprisonment as a Class-A war criminal, Shoriki had been released without trial; his virulent anti-communism helped redeem him in American eyes (see Tetsuo Arima, "Shoriki's Campaign to Promote Nuclear Power in Japan and CIA Psychological Warfare," unpublished paper presented at Tokyo University of Economics, November 25, 2006). Shoriki's newspaper agreed to co-sponsor the much-hyped US exhibit welcoming the atom back to Japan on November 1, 1955 with a Shinto purification ceremony in Tokyo. The US ambassador read a message from Eisenhower declaring the exhibit "a symbol of our countries' mutual determination that the great power of the atom shall henceforward be dedicated to the arts of peace." Kuznick is associate professor of history at American University and director of the Nuclear Studies Institute. Kuznick founded the Committee for a National Discussion of Nuclear History and Current Policy and co-founded the Nuclear Education Project. 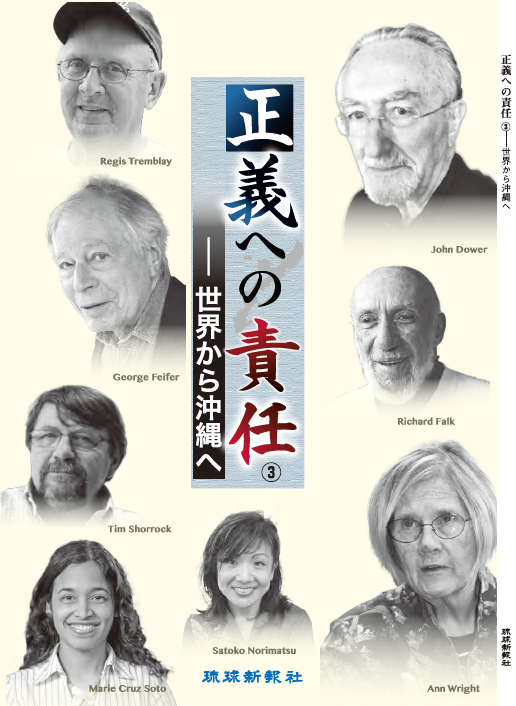 He is the author of Beyond the Laboratory: Scientists as Political Activists in 1930s America, co-editor of Rethinking Cold War Culture, and co-author of Rethinking the Atomic Bombings of Hiroshima and Nagasaki: Japanese and American Perspectives (in Japanese, 2010). Currently, he is co-authoring a 12-part documentary film series and book with Oliver Stone titled The Forgotten History of the United States, which is scheduled to air on Showtime in November.